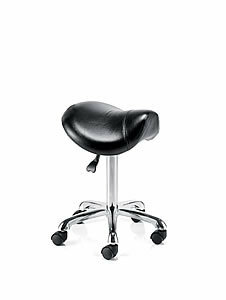 REM Saddle Stylists Stool on a chrome, gas lift 5 star base. Available in black upholstery only. Sizes: Height 55 - 69cm, Width 50cm, Depth 50cm.